If you’re like me, you love strawberries! They are like little jewels of summer! 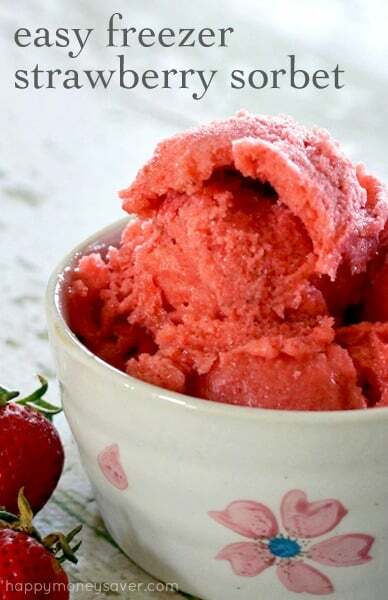 This Easy Freezer Strawberry Sorbet Recipe will make your family cheer with happiness, and you can feel good because you are giving them something healthy and delicious. With this recipe you will not need an ice cream maker…just your trusty blender. If you’ve never made sorbet before, you’ve gotta give it a try…you won’t be sorry!! You will need 2 lbs. of fresh strawberries. Give them a good wash and lay them out on paper towels to dry. Next, hull all of the berries. You can either use a paring knife or a strawberry huller. Slice up 1/2 of the berries into large pieces, place them on a baking sheet and put them in the freezer for a few hours until they are like little strawberry ice cubes. Take the rest of the berries and put them in a medium sized pot, along with 3/4 cup of sugar and 2 cups of water. Simmer this mixture over medium heat for about 30 minutes, stirring occasionally. During this time your kitchen is going to smell amazing!! Remove the mixture from the heat and let cool completely. Next, put the frozen strawberries and the cooled mixture in the blender and blend for 3-4 minutes on high or until creamy. Pour into a freezer safe container, label it and freeze overnight. Once frozen, set out on the counter for about 10 minutes to thaw before scooping. It will be worth the wait, I promise! 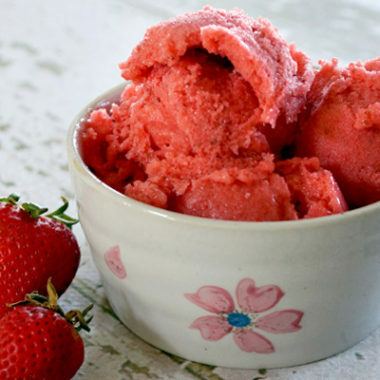 This Easy Freezer Strawberry Sorbet Recipe is so delicious! After you’ve made it once…you may want to double or triple the recipe to stock up your freezer! This is the perfect freezer dessert to go with all my freezer meals. Give it a try, I promise you won’t regret it! Below is a printable recipe card for your convenience! Enjoy! 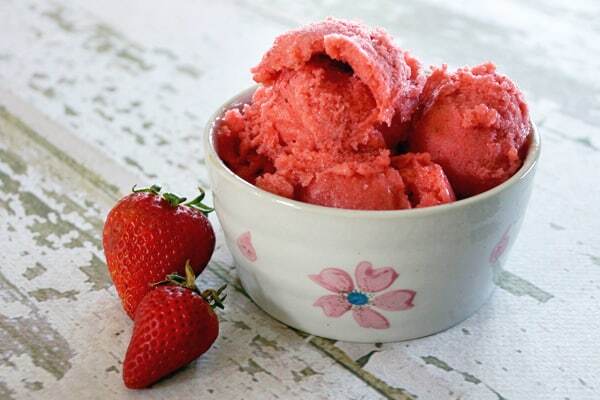 Easy Freezer Strawberry Sorbet are healthy and delicious! 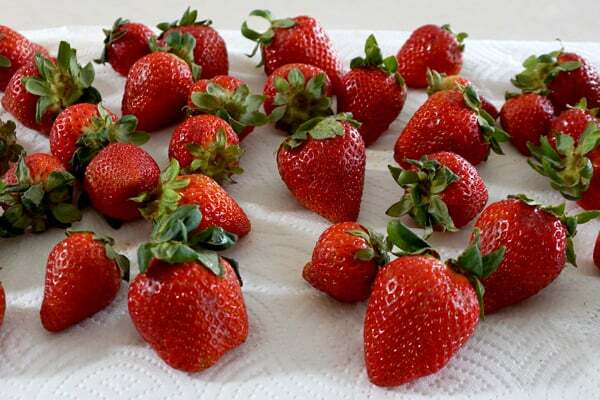 Wash the strawberries and lay on paper towels to dry. Hull all of the strawberries. Slice up 1 lb. 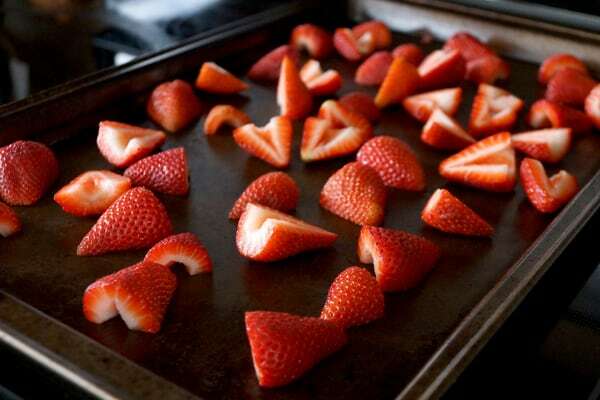 of strawberries in large chunks and place on a baking sheet. Put them in the freezer for a few hours or until frozen. Place the remaining 1 lb. of strawberries in a med. 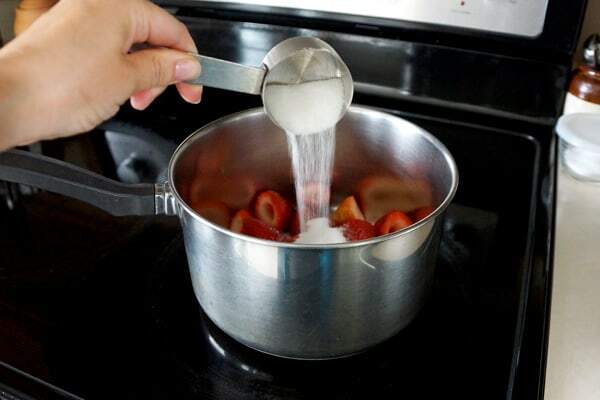 sauce pan with the sugar and water. Simmer over med. heat for 30 minutes, stirring occasionally. 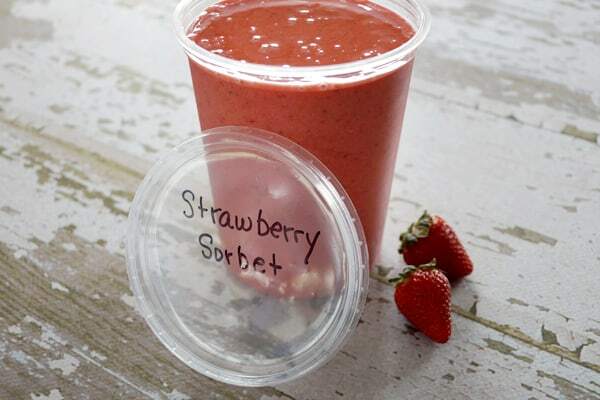 Add frozen strawberries and cooled strawberry mixture into a blender and blend on high 3-4 minutes, until creamy. Pour into a freezer safe container and freeze overnight. 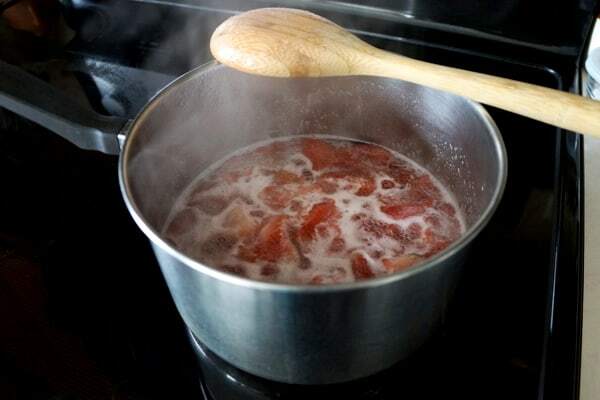 If you are using super sweet or really ripe strawberries, you may want to reduce the sugar to 1/2 cup. –> See more of my freezer meal recipes here. 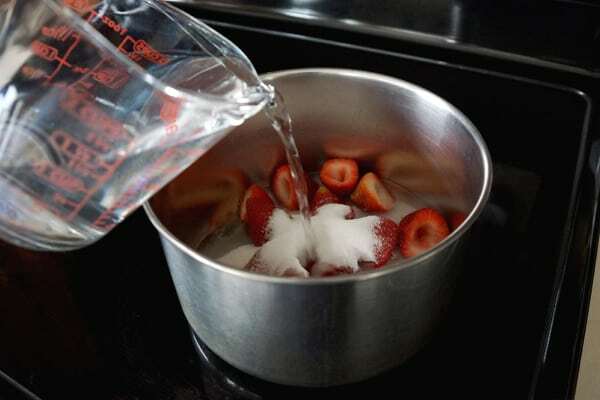 This sounds great i love strawberries can’t wait to make it Thanks for the recipe! Our strawberries are just starting to ripen – I can’t wait to try this! This looks yummy for the summer! As soon as I can get my hands on some good looking strawberries I am totally making this. Looking at the pics makes my mouth water. Wow That is so easy! I think I will try it tonight. Thanks so much! This looks delicious & strawberries are in season right now! This looks awesome! I love strawberry anything – must try this! This looks yummy! I wonder how little sugar I could get away with? I love ANYTHING frozen, must try!